Background and Objectives: Nutrition has a key role in achieving optimal performance level in sports. It was noticed that many athletes do not practice the optimum nutrition habits desired for good health and performance. This study aims to examine the nutrition knowledge levels among sport students at An-Najah National University in Palestine and to identify the associated factors that may influence their knowledge levels. Materials and Methods: The study was a cross-sectional observational survey. The questionnaire used in the study included a sociodemographic section and a nutrition knowledge section consisting of 21 questions or statements. 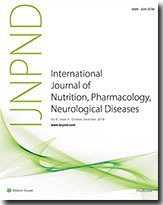 The respondent selected from three options: “True,” “False,” or “I do not know.” Kruskal–Wallis and Mann–Whitney tests were conducted to examine the association between selected independent variables and the total score of the nutritional knowledge at alpha <0.05. Results: A total of 249 students were included in the study. A little more than half of the participants were males (136; 54.6%). The mean of the nutrition knowledge score of the students was (11.0 ± 3.1) out of 21 (i.e., 52.4%). The participants’ sport nutrition knowledge association with the studied demographic variables showed that the only significant differences were observed in the students’ academic year and the level of income. Conclusion: The evaluation of nutrition knowledge among sport students at An-Najah National University revealed that the overall nutrition knowledge is insufficient. The result of this study recommends including sport nutrition education course in the program to improve their health, nutritional awareness, and knowledge levels. Introduction: Siddha system of medicine is one of the ancient Indian medical systems that is popularly known for the management and treatment of chronic noncommunicable diseases. Herbs and minerals constitute the major part of Siddha medicines. Herbs, herbal extracts, and minerals are commonly used to treat various malignancies. Pancha Paasana Chendhuram (PPC) is a herbo-mineral formulation used to treat different types of cancers in Siddha practice. Methods: In the present study, we investigated the in vitro antioxidant and anticancer activities of PPC against breast cancer cells (MCF-7). Results: PPC showed moderate antioxidant effects; it also showed a dose-dependent inhibition of MCF-7 cell proliferation, with an IC50 (half maximal inhibitory concentration) of 59.26 mg/mL and nuclear damage in cancer cells. PPC upregulated Bax and Bcl2 and downregulated p53 mRNA (messenger Ribonucleic acid) expression in MCF-7 cells. Conclusion: These results suggest that PPC may be an interesting candidate for further studies in treating breast cancer. Introduction: The extensive and injudicious use of pesticides in agriculture, household, veterinary practices, and occupational settings have increased the risk of human exposure and associated health effects. Objectives: In the present study, an attempt has been made to investigate the toxic symptoms, including neurological effects in pesticide-exposed farm workers. Methods: The data of exposure pattern and symptomatic health effects were collected through questionnaire distributed among 248 male farm workers by purposive sampling method from the district Sagar (MP), India. The mean value of chronic exposure index was 1.710 indicates that the farm workers were chronically exposed to hazardous pesticides. Results: Adverse health effects in farm workers including tingling (32.3%), muscle pain (51.6%), headache (56.5%), skin disease (19%), blurred vision (35.5%), tremor (23%), stress (24.2%), depression (15.3%), anxiety (44.7%), altered taste (21.4%), altered smell (31.4%), sleep disorder (39.5%), dizziness (66.1%), memory problems (29.4%), trouble in walking (8%), and cardiac problems (16.9%) were reported. The effects were more prominent in farmers who are smokers, residing at farm and store pesticide at home. In addition, the use of protective measures was not proper due to which the adverse effects were seen almost equal in most of the cases or even higher in some cases who reported to use protective measures. Conclusions: Farm workers are at the higher risk of exposure, as they are unaware and do not use proper protective measures for the same. Regular monitoring of occupational exposure by the regulatory agencies is necessary to minimize adverse health effects of pesticides. Aims: Polycythemia is an increase in red cell mass as evidenced by increase in hemoglobin (Hb), hematocrit, and number of circulating erythrocytes. The aim of this study was to investigate the effect of some clinical manifestation on the occurrence of polycythemia including overweight, smoking, meat consumption, chronic diseases, previous history, family history, recurrent blood donation, and aspirin administration. Materials and Methods: This study was performed at The Iraqi National Blood Bank in Baghdad. Data including weight, height, and Hb levels were estimated personally from 80 patients attending on three different days at the bank for blood donation. Each of the patients were asked about having clinical manifestation tested in this study. 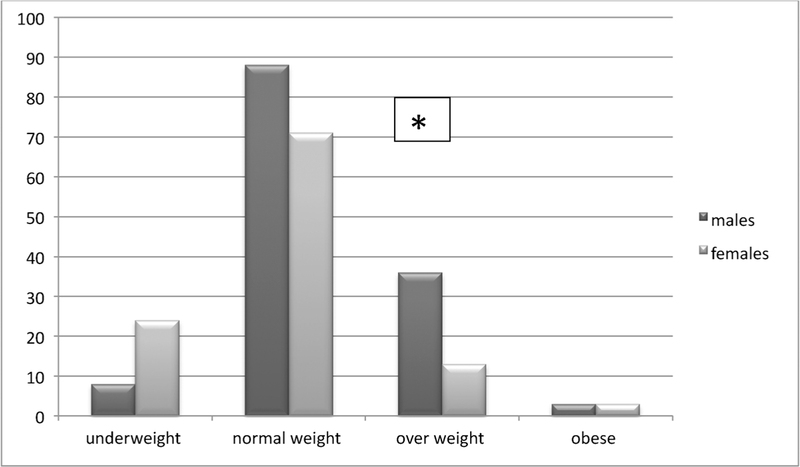 Results: Hb levels were slightly elevated when body mass index values were increased. Approximately 61% of patients having high Hb levels were meat consumers compared to nonmeat consumers who did not have high Hb levels. About 36% of patients who had high Hb levels were smokers compared to 11% who were nonsmokers. A total of 17% of patients having high Hb levels were taking aspirin in comparison to 26% who were not taking this drug. 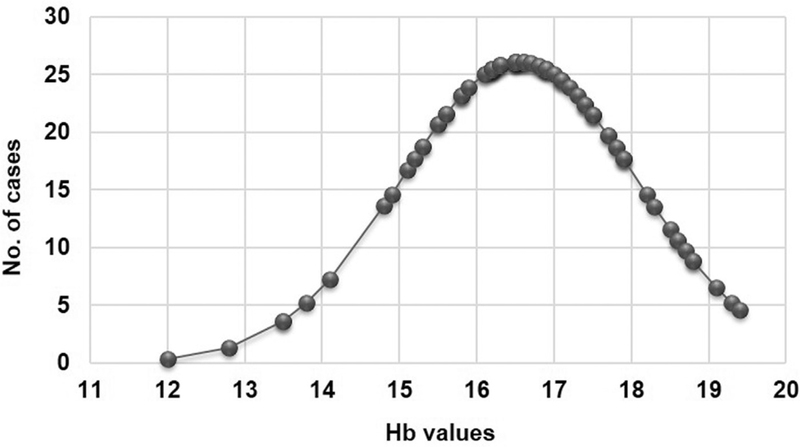 Chronic diseases, family history, previous history, or recurrent donation seem to have unclear effect on Hb levels. Conclusion: Smoker and overweight people seemed to have higher Hb levels, whereas aspirin administration led to decreasing Hb levels. Other manifestation had little or no relationship with Hb levels.